February was a fairly busy month for the women, with Premier-level titles in Doha and Dubai capturing everyone’s attention. Premier Mandatory tournaments have started acquiring their own unique gravitas. Maybe it’s because Serena Williams hardly makes any appearances outside the Slams and Premier Mandatory tournaments these days. Or maybe it’s because of the huge points haul up for grabs, which facilitates dramatic changes in the rankings at the top of the pile. 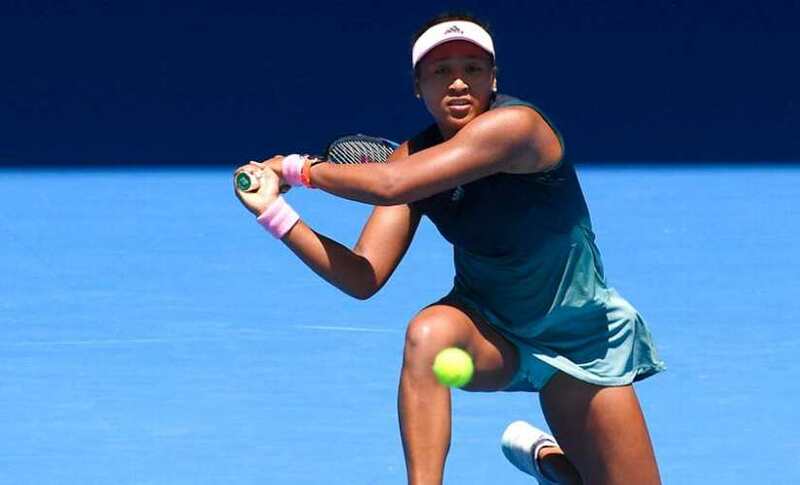 Osaka has been in the news for much of 2019 – first with her mature win at the Australian Open, and then her unceremonious dumping of coach Sascha Bajin (with whom she has won every single one of her titles so far). And her first Bajin-less campaign was a spectacular failure, as she lost to Kristina Mladenovic in the first round at Dubai. The Japanese has a new coach now in Jermaine Jenkins, but her fans would be hoping she continues with her mindset of old – which had helped her win this tournament last year. She won’t get much time to acclimatize to Jenkins’ methods, as she will likely have to face Mladenovic again in her first match (if Mladenovic gets past Saisai Zheng in the first round). That’s just the first of the roadblocks for Osaka. 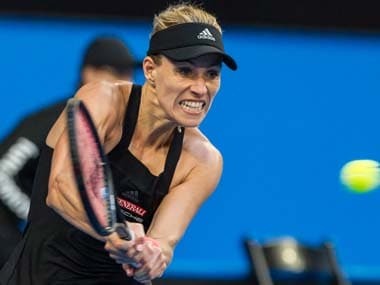 In the third round she could face Australian Open semi-finalist Danielle Collins, and after that either Belinda Bencic or Caroline Wozniacki. Bencic is coming off a stunning title run in Dubai and Wozniacki is a former champion here, so neither opponent will be a cakewalk. At the other half of this quarter is fifth seed Karolina Pliskova. The Czech might have a tricky opener against spirited Tunisian Ons Jabeur, after which she could face Donna Vekic and Anastasija Sevastova in succession. That’s a manageable draw overall, and don’t look now, but Pliskova has a chance of becoming World No. 1 if she wins the title. This is a land of opportunity if ever there was one. Petra Kvitova headlines this quarter by virtue of being the third seed, and she could also become World No 1 with a good result here. But considering her poor results in the California desert over the years, it’s unreasonable to expect a title run from her. Instead, the biggest name of interest here might be Angelique Kerber, who would be desperate to get her season on track after a few middling results in recent times. Kerber starts against either Timea Babos or Yulia Putintseva, and could face Carla Suarez Navarro next. But that’s where the run of players who are NOT monstrous hitters stops; the German could face Aryna Sabalenka or Ajla Tomljanovic in the fourth round, and one of Madison Keys, Julia Goerges, Kvitova or Venus Williams in the quarters. Anastasia Pavlyuchenkova, Mona Barthel and Kaia Kanepi are also lurking in this quarter, and it’s an understatement to say that all three of them can give the ball a good whack. If Kerber is not at her defensive best, we could see some thunderous rocket-launching from both ends of the court in the latter half of this section. A note on Venus: after boycotting the Indian Wells event for more than a decade, the 7-time Slam champion has become a regular here in recent years. But her draw has done her no favors, as she faces Andrea Petkovic first up and Kvitova after that. Like her sister Venus, Serena has also entered the Indian Wells draw every year since 2015 (except for 2017, when she was pregnant). And like her sister Venus, Serena also has a very tough draw: she could face Victoria Azarenka in her first match, followed by Garbine Muguruza. It’s hard to predict Serena’s form going into the tournament. The last time we saw her she was hobbling off the court after one of the most puzzling losses of her career, against Karolina Pliskova in the Australian Open quarterfinal. Has she regained full fitness and confidence in the month off since Melbourne? We’ll get an idea soon enough, as a second-rounder against Azarenka won’t be easy. The last time these two faced each other in Indian Wells, in the 2016 final, the Belarussian came away with a straight sets win. Of course, a lot has changed since then – both have given birth and made start-stop comebacks to the tour – but we know that these two tend to bring out the best in each other. 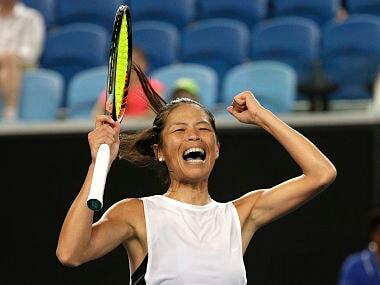 There are also a couple of uber-talented teenagers – Amanda Anisimova and Bianca Andreescu – in this quarter, along with Su-Wei Hsieh’s wicked slices and Kiki Bertens’ convenient mix of offense and defense. To add to that, Muguruza’s unpredictability is always a factor; you never know when she’ll lose in the first round, or storm through the draw to win the title. It wouldn’t be wrong to say this is the most open quarter of the entire draw. 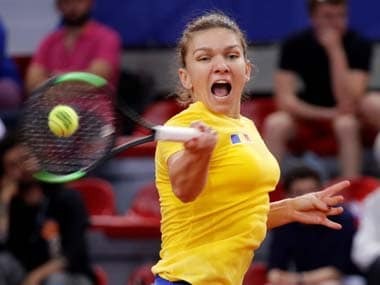 Simona Halep has been waging a long and torturous battle with the draw gods: she seems to run into quality players early on in every single tournament she plays. And while that usually guarantees electrifying early round matches, it also often leaves her too exhausted to give her best when it matters most. So Halep is probably heaving a sigh of relief after looking at her Indian Wells draw. She will likely open against Barbora Strycova, after which she could face Aliaksandra Sasnovich. Daria Kasatkina or Jelena Ostapenko could await in the fourth round, and familiar foe Elina Svitolina in the quarter-final. These are all dangerous opponents, sure, but they are all eminently beatable too. For once Halep hasn’t been given a minefield of a draw, and you’ve got to like her chances of going deep. And you might have already guessed this, but the Romanian also has a chance to get the No. 1 ranking after this tournament, so she certainly doesn’t lack for motivation. Svitolina on her part could face Yafan Wang or Sofia Kenin in her first match (these two players contested the Acapulco final last week, which Wang won), and possibly the hard-charging upstart Dayana Yastremska after that. Also worth mentioning in this section is Ashleigh Barty, who will be making her first appearance since the quarterfinal run at the Australian Open.